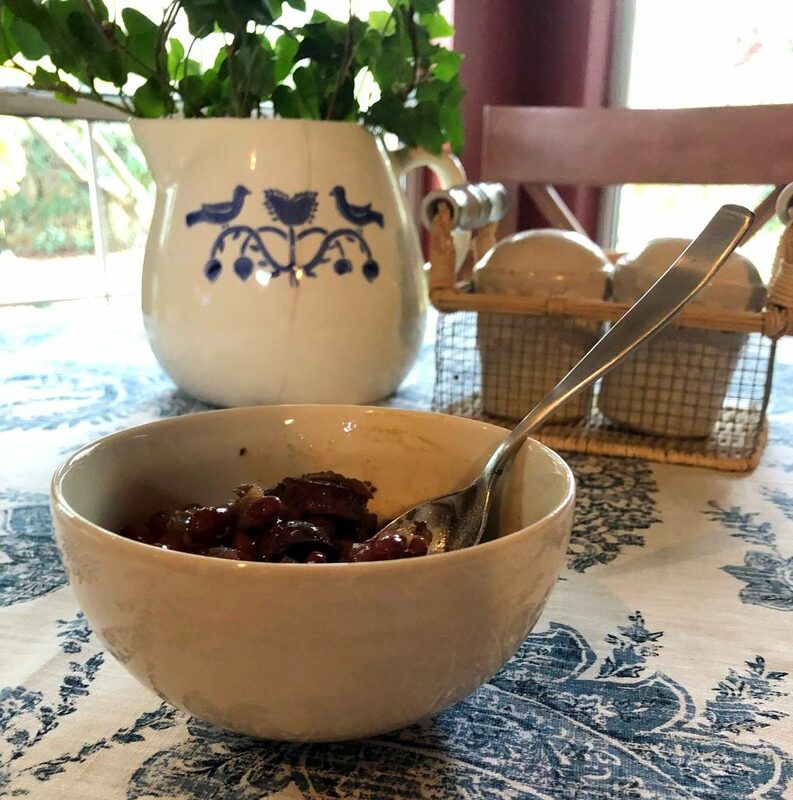 We love traditional, down-south, home cooking in the cool weather months, and red beans and rice has always been a favorite. 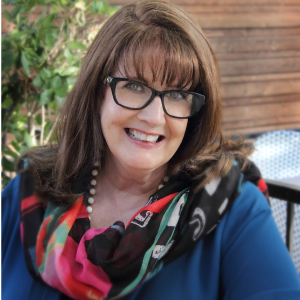 However, I have never made it in the crock pot or with a desire to keep it healthier!  I found a crock pot recipe and put my own spin on it. Of course, you need a crock pot! 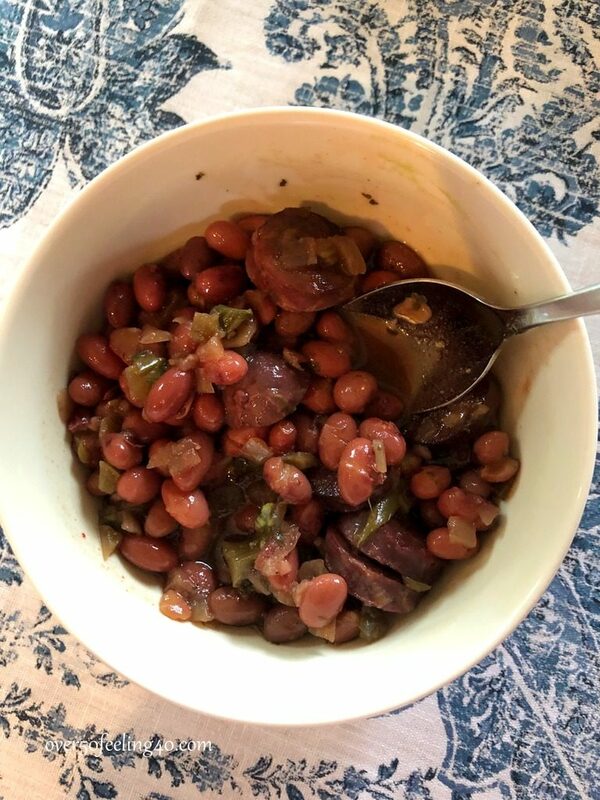 SInce this is just for two, I used one pound of dry red beans. Wash them thoroughly before placing in the crock post. I also purchased at our local favorite HEB Grocery, a creole mix of onion, green pepper, and celery…you can of course chop yourself, but this mix is great if it is available at your market. I poured that on top of the beans along with three minced cloves of garlic. 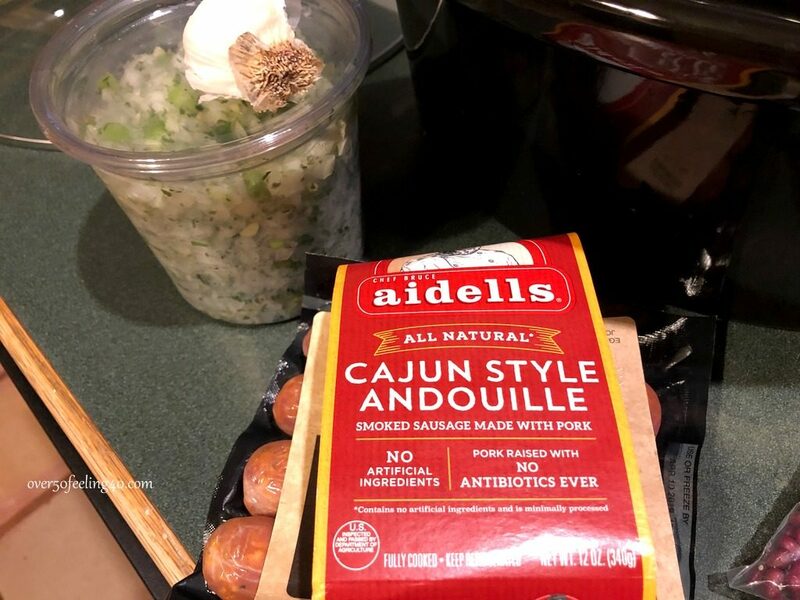 Then I added a sliced package of Aidell’s Cajun Style Adouille All Natural Sausage. It is delicious and not too spicy. 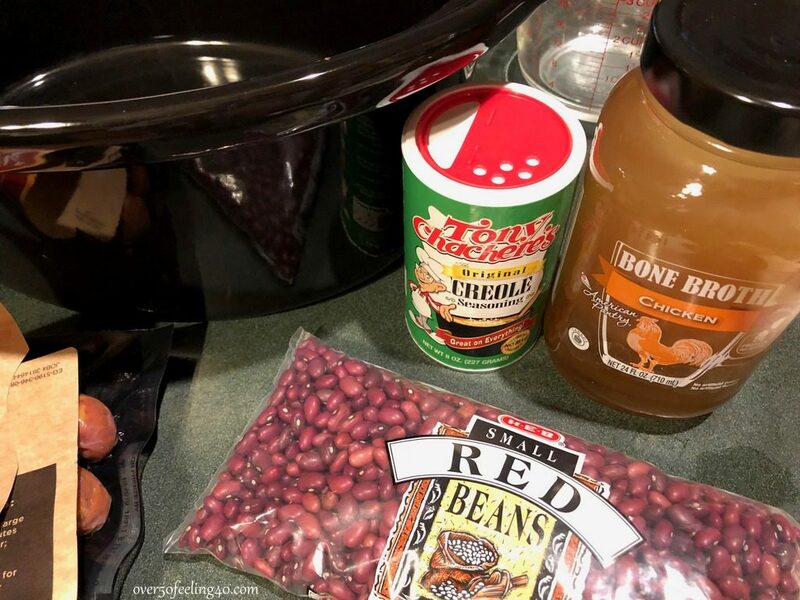 The next important ingredient is 2-3 tablespoons of Creole Seasoning…I use two…my husband would like three…but that would be too much spicy for me! A traditional recipe will tell you to pour on 7 cups of water…but for added taste and protein, I used half chicken bone broth and half water. Then I cook it on low for nine hours. It was delicious for Super Bowl Sunday. 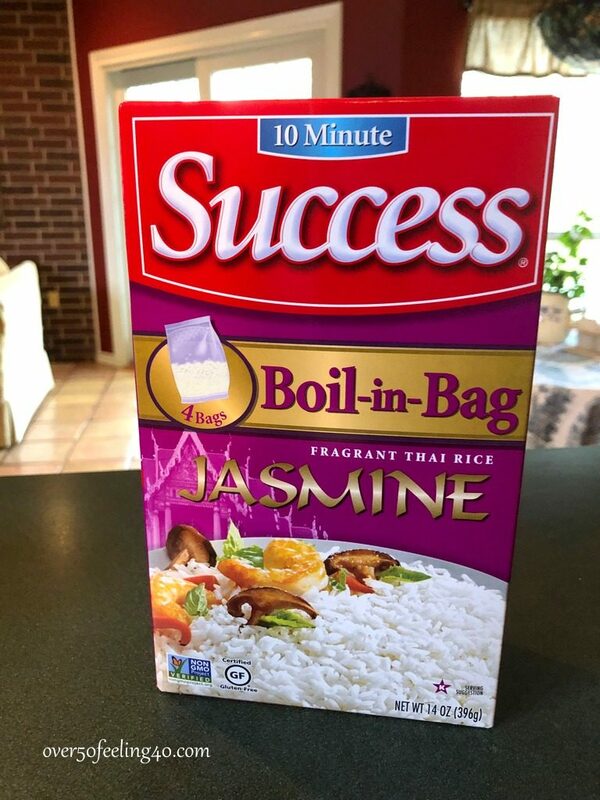 My husband likes it over Jasmine Rice….and I like this brand. I love the rice, but this year are it without rice since I am trying to watch my carbs. It’s February….it’s red…and it tastes great! How cute! The black and white chicken apron. I almost always wear an apron when cooking. I have several. 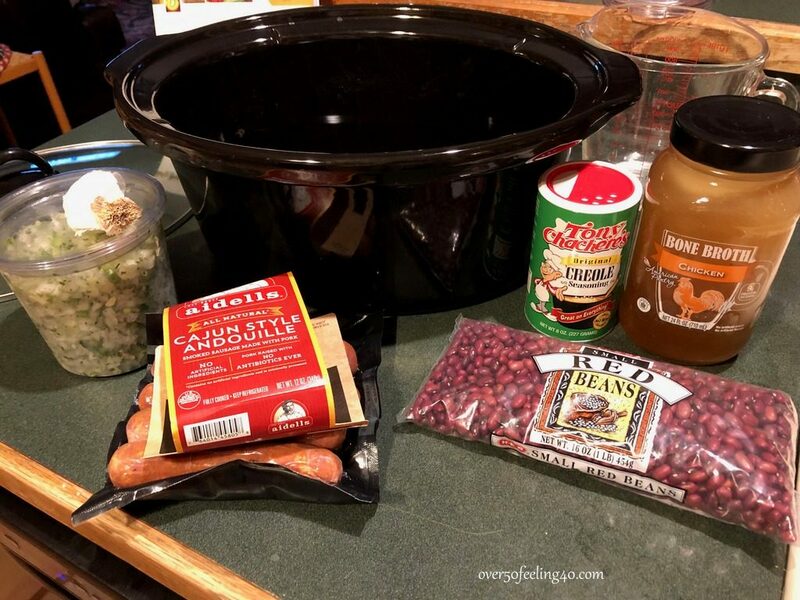 I love red beans and rice, and never thought about the healthier spin! Good ideas, though I’ll be honest, I’d have to have some rice. Sounds weird probably, but rice is my favorite food. Since that is the case, I just eat less the day I’m having it, or walk farther and faster!😉 I do love spicy foods and you had a good idea to use the broth. Bet that gave it lots of flavor! Red beans and rice sounds good. Never tried it but I will!